The website www.millbrookbeds.co.uk, is owned and operated by Millbrook Beds and the expressions “Millbrook Beds”, “we” and “us” and “our” mean Millbrook Beds. 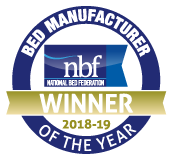 Millbrook Beds is a division of Millbrook (UK) Ltd (Company Number 1728009) whose registered office is at, Calmore Industrial Park Totton, Southampton SO403XJ. 4.2 Subject to Conditions 5.2 and 5.3, we make no warranties that the Website, its content or any services offered via the Website will meet your requirements or will be uninterrupted, timely, secure or error-free, that defects will be corrected, or that the Website or the server which makes it available are free of viruses or bugs or are fully functional, accurate, or reliable. We will not be responsible or liable to you for any loss of content or material as a result of uploading to or downloading from the Website. If a fault occurs in the service you should report it to enquiry@millbrookbeds.co.uk and we will attempt to correct the fault as soon as we reasonably can. 10.2 Any notices or communications that you send to us will be sent to customer services at enquiry@millbrookbeds.co.uk or in writing to Millbrook Beds, Calmore Industrial Park Totton, Southampton SO403XJ. Any notices or communications that we send to you will be sent to the email address you registered with us.